Hi, It is important nowadays to have views on his videos to highlight his company or service via YouTube to make the buzz, but it is also important if you want to have a legitimacy that there are subscribers on your channel . Indeed views without subscribers sounds wrong. I will provide 6.000+ real and active YouTube subscribers. 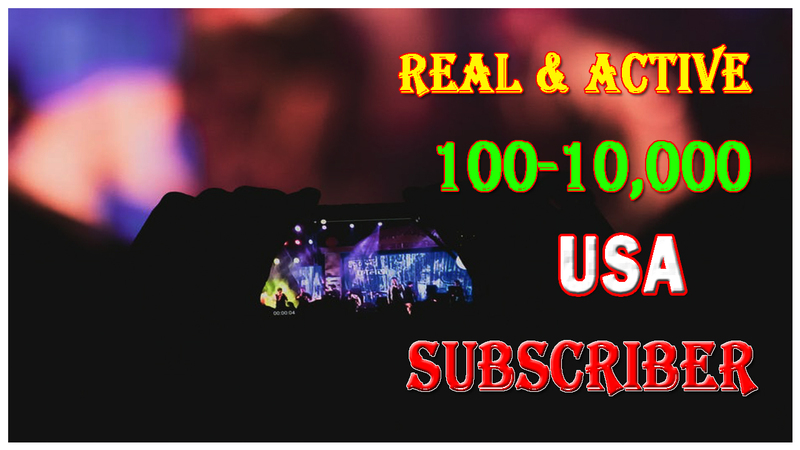 These subscribers are 100% authentic and will highlight your You Tube channel. 9) Real benefit for you and your channel. Feel free contact me if you have any question. Hello, I have over three years of experience in Online marketing, that includes: SEO, Social Media marketing, SEM, Keyword research, Google analytics, video marketing, and much more....Read moreHello, I have over three years of experience in Online marketing, that includes: SEO, Social Media marketing, SEM, Keyword research, Google analytics, video marketing, and much more. My main resource is ability and honestly. If you have any question feel free to ask me.